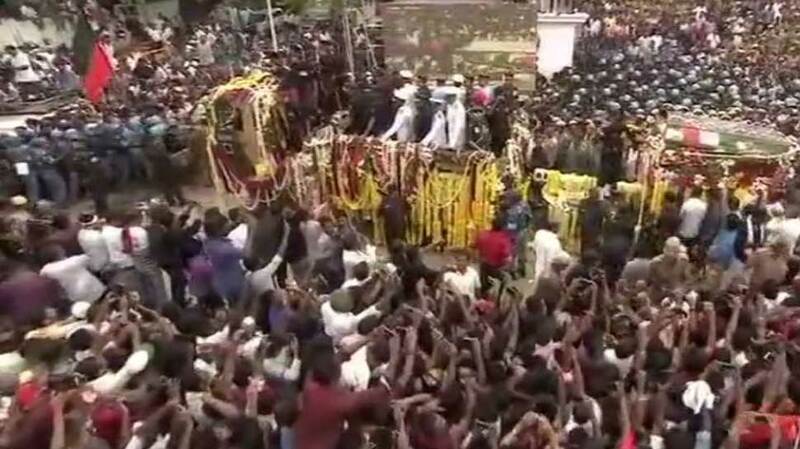 As the nation mourns his demise, the last journey of DMK patriarch M Karunanidhi began with thousands of people paying homage to their 'Thalaivar' (leader) on Wednesday. 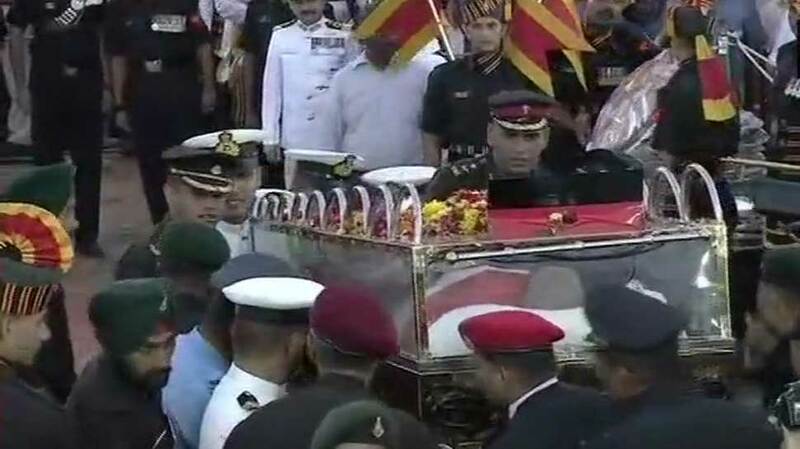 Slogans like 'Kalaignar pugazh vazhga vazhgavey' (long live the glory of Karunanidhi) rent the air as tri-service personnel lifted the glass casket containing the mortal remains and walked up to the flower-bedecked military gun carriage (rpt gun carriage). 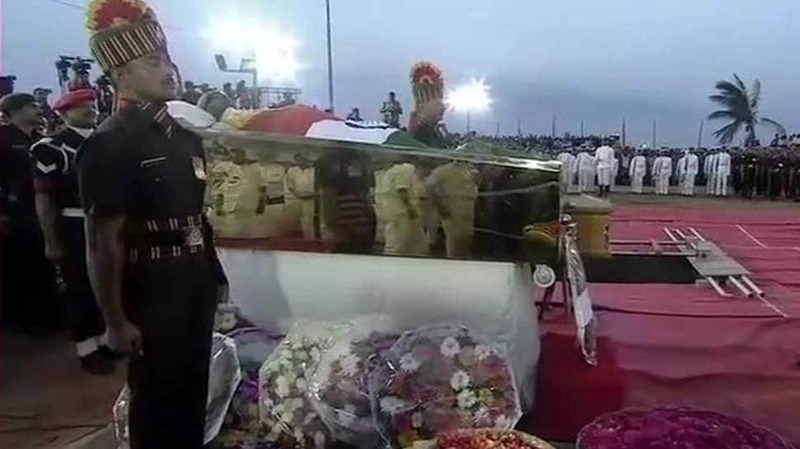 The five-time Tamil Nadu Chief Minister's mortal remains were moved from Rajaji Hall to Marina beach in Chennai, where the last rites were conducted. Sobbing family members, including the late leader's sons M K Stalin and Tamizharasu, paid homage to the iconic Dravidian leader. The military gun carriage (rpt military gun carriage) inched its way to the Marina beach about 1.7 km from Rajaji Hall with thousands of people lining up on the roads to catch a last glimpse of the departed leader. Hundreds of people sporting black shirts and carrying pictures and banners of the late leader followed the military gun carriage (rpt military gun carriage). 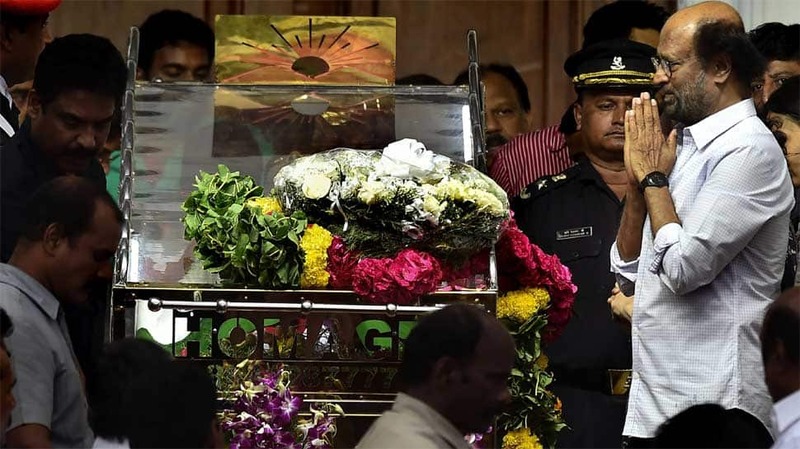 Karunanidhi's body was draped in the national tri-colour with his trademark black glasses, yellow shawl, white shirt and dhothi on. A galaxy of political leaders led by Prime Minister Narendra Modi paid their last respects to the departed leader. 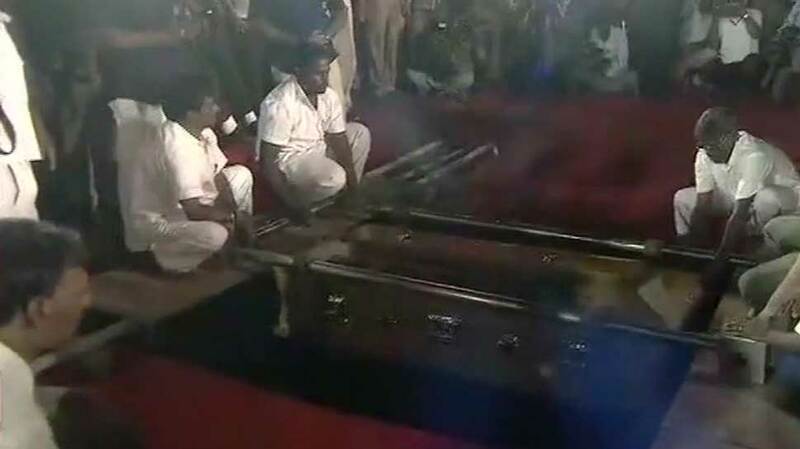 The mortal remains of Karunanidhi were lowered into the burial pit behind the samadhi of his mentor and DMK founder CN Annadurai at Marina beach with full state honours. Karunanidhi died on Tuesday at the age of 94 with doctors at Kauvery Hospital declaring him dead at 6.10 pm. The doctors of Chennai's Kauvery hospital had on Monday confirmed a sharp decline in the health of the DMK veteran. Karunanidhi, who turned 94 last month, was admitted to hospital on July 18. The hospital had said he had undergone a procedure to replace his tracheostomy tube. He had the tube placed in December 2016 to help improve his breathing. Karunanidhi had been discharged after the procedure on July 23.